So, what does that actually involve? At first sight concentrating on lifestyle doesn’t sound particularly revolutionary. For years doctors have been advising patients to stop smoking, eat less and move more as the best way to lose weight and to be generally healthier. This is something very different. The advice is more personalised and sophisticated, aimed at tackling what has been going wrong with you. New research shows that the sort of food we eat, the balance of bacteria in our gut our sleep patterns and the way we handle stress can all affect our wellbeing, right down to a genetic and cellular level. Right now, as GPs, we have little specific to offer that can improve any of this. What I did to help Gareth, a 32-year-old hairdresser with terrible heartburn, is a good example of what I mean. He was desperate when he came to see me. ‘Something’s clearly wrong. I can’t even work it’s so bad on some days…’ he said forlornly. He was already on the highest dose of a proton pump inhibitor medication called esomeprazole which lowers stomach acid to a bare minimum. A possible cause would be stomach ulcers caused by an infection with the H.pylori bacteria but tests had shown no sign of it. So, he’d been diagnosed as having ‘non-ulcer dyspepsia’ (which means indigestion symptoms but no ulcer). His GP’s advice had been by the book: avoid alcohol, coffee and spicy foods, retest for H pylori in a few months, try another drug and if none of that worked refer him back to the specialist. So, what could I do, given that he was already doing everything conventional medicine had to offer? As soon as I checked his medical history and asked about his lifestyle, the answer was obvious; for me it was ‘case closed.’ He’d taken a large amount of antibiotics since childhood, about two courses every year, which isn’t good for the vital bacteria in the gut. Also, his diet wasn’t great. It contained lots of carbohydrates – cereal, sandwiches and pasta dinners – usually eaten quickly, standing up or on the go. I knew exactly what I could do to help him. I felt sure that in 4-6 weeks he’d tell me he felt a lot better. Just for starters, I suggested that he sat down for meals and eat in a way that that worked best for the digestion. That meant chewing his food slowly, allowing each mouthful to reach his stomach before taking another. This helps because digestion begins with an enzyme in the mouth called salivary amylase. By shoving food down the hatch without chewing it properly he wasn’t allowing his system completely to break down all those carbohydrates. I’ll come back to Gareth shortly. This is the kind of 360 degree thinking about health that I’ve begun teaching to GPs in a series of day-long seminars on Lifestyle Medicine approved by the Royal College of GPs. I’m partnering with my friend Dr Rangan Chatterjee [website] of ‘Doctor in the House’ fame. For the majority of the GPs who have been trained to diagnose and then treat with a prescription, much of the day will, I hope, come as a welcome surprise. They will be learning about the sort of things I was doing to help Gareth, such as recommending which different foods to include in the diet and which to remove, supplements for nutritional deficiencies and how it is always worth checking on the health of your gut bacteria. The success some GP’s have reported recently in helping diabetics to lose weight and cut their drug use with a low carbohydrate diet, rather than a low-fat diet plus pills to boost insulin, has stimulated some interest in this approach. We are taught to treat patients’ symptoms, usually with a drug such as the acid suppressant for gastro-oesophageal reflux that Gareth was given, along with very general advice such as avoiding coffee or red wine. But the lifestyle approach isn’t mainly about treating symptoms. Instead we want to uncover the cause, so instead we begin by looking for clues, asking the patient to describe a typical day. What do they have for breakfast, what do they do when they arrive at work, how often do they leave their desk? What do they eat through the day, how well do they sleep? That way we can give much more specific life style advice. For Gareth the start was to suggest what he could do to improve his limited diet and unhealthy eating pattern. I suggested he eat more fish, fruit and vegetables. Also, rather than eating the fruit after a meal which many people do, I recommended he have it before a main meal or as a snack on its own to make life easier for his digestive enzymes as fruit putrefies so quickly. Eaten on top of a heavy meal it can cause bloating and discomfort. Then we had to sort out the massive over-use of antibiotic that had shown up in his medical history. I knew that meant he was likely to have poor balance of bacteria in his gut, which can cause inflammation which was showing up as heartburn. I suggested a probiotic – a supplement of friendly gut bacteria, which would cost little more than his monthly PPI prescription – called Lactobacillus rhamnosus (also known as LGG). There is good research to show that it can repopulate the upper GI tract with the beneficial bacteria which had been killed off by the antibiotics, allowing less desirable bacteria to get a hold. Something else I could do to improve Gareth’s digestion was to change the time that he ate. He generally had his evening meal rather late, which meant that the food was still in his stomach when he got into bed. It takes about three hours for the stomach to empty, so when he lay down it was more likely that acid would escape from the top of the stomach causing heartburn. A two to three-hour gap between dinner and bed time also improved his symptoms. Finally, I suggested something cheap and simple to help with the tiredness he had been complaining of. A blood test had revealed that he had low levels of vitamin B 12. This was unsurprising since there was very little in his high carb diet and the acid suppressing medication he was on meant he probably wasn’t able to extract much of what was available. His energy levels improved with an over-the-counter, under-the-tongue B12 spray. ‘Mate, thanks so much,’ he said to me 6 weeks later. ‘I feel better than I’ve done in 10 years’. As well as improved energy his acid symptoms had disappeared after 7 days and he was eating more mindfully and healthily. And he came off his medication after 3 weeks, as I had suggested, by gradually reducing the dose. The key is that it wasn’t just one thing that helped Gareth – it was subtle tweaking of several factors. Even though those doctors who already follow the lifestyle approach all see many cases like Gareth responding well, there are still plenty of cynics who dismiss it without really understanding what it involves. ‘This latest brand of ‘lifestyle medicine’ is poorly evidence based clap-trap, such as telling people to put coconut oil in their coffee and never eat grains,’ wrote one doctor-in-training is response to an article about the new initiative in the doctor’s magazine Pulse. It’s certainly true that decades of general advice to eat well has had little effect but as Gareth’s case shows, if you give people precise advice and explain why it is likely to help, the results can be dramatic. The reality is that patients need to buy into what you’re suggesting. Once they start feeling better, they are likely to stick to their new habits. Remember, Gareth was desperate. Have I ever told anyone to put coconut oil in their coffee? No. Do I understand the science as to why it may be of benefit to certain people – yes absolutely. Have I taken people off grains? Yes I have – if it is obvious that they are reacting to them from their history. Elimination diets cost nothing and can sometimes deliver amazing results. It’s all about tuning in to the patient’s state using the lifestyle approach. By and large the GP response the idea of looking at the whole patient and their life, rather than trying to fix the most obvious problem, has been very enthusiastic. They say things like: ‘These are exactly the kind of issues I see in my surgery. How can I learn more?’ Hence the RCGP course. Gareth’s case doesn’t just illustrate the way this approach raises GP’s options – it shows the way lifestyle medicine can join up the dots to build a picture of the underlying issues. Antibiotics disrupted his gut flora which created a symptom of heartburn and bloating. Combine that with bad eating habits, a sub-optimal diet and a drug which probably reduced his B12 levels making him tired and gradually you have someone who is not functioning properly. All I did was help him tighten up the screws that I thought were loose and he got better. There are so many lifestyle medicine applications for chronic disease such as diabetes and heart disease, as well as for the conundrums like Gareth’s that face GPs daily; where there simply is no best evidence. The patient has had tests which are normal and is “stuck”. Unexplained aching joints, mystery headaches, tiredness, bloating, anxiety and memory loss are just a few that can be helped with this kind of approach. GPs and primary care clinicians are the group in the NHS best placed to put this into practice as we see such problems regularly on the front line. It’s high time we made this happen. Perhaps that’s $3 billion too much for Big Pharma, FDA’s cozy partner in crime. “[I]n one fell swoop, the FDA has declared that virtually every single homeopathic drug on the market is being sold illegally,” the Alliance for Natural Health USA (ANH USA) wrote5 — and it’s not an exaggeration. In essence, the FDA’s guidance reads…https://articles.mercola.com/sites/articles/archive/2018/01/30/homeopathic-products-now-illegal.aspx There’s no doubt in my mind they want us American’s dead. It’s high time we made this happen. I agree it is, but can it be done in your standard 10 minute consultation period with a hundred more patients in the waiting room? The feedback has been astounding. Congratulations for having the courage to take the right path and making it public. Absolutely – always thought nutritionist in the surgery made a lot of sense.Sounds like Dr Panja’s talks will be well attended so some way of linking up interested GPs with local nutritionist, via BANT maybe, could be a good idea. There is definitely need for more collaborative working. Part of the current problem beyond awareness of lifestyle medicine and nutrition is all the other work a GP has to do in his/her day. In some ways the role is too broad. Our energies are taken up with urgent work on the day like acute illness, child protection, palliative care and important correspondence which needs urgent action on a daily basis. I would hope that the attendees on our course now have tools to understand better letters from NTs. They are important but not urgent and so time must be allowed between sending the letter and asking the patient to book in. Also some tests are not available on the NHS but a reasonable GP will do what he/she can to help. I’d take the advice of your standard nutritionist, nutritional therapist or dietician (can anyone state the difference between the three job titles without looking it up?!) with a large pinch of salt, which they’ll say is bad for you anyway! I guess that those reading this blog may not be “standard” but I imagine the majority will be of the type that would launch attacks on the likes of prof Tim Noakes, Dr Annika Dahlqvist or Dr Dr Gary Fettke. Can you be a bit clearer? What’s the point you are making? Is it that ‘standard’ nutritionists recommend the likes of lowering salt intake and – presumably – avoiding butter/sat fat, following healthy eating plate and so on? If so then it’s right that not many will be reading this blog – the social media echo chamber effect. But if that’s right then your assumption that they are all ready to attack the likes of Noakes and Fetke is nonsense. Several posts here covering their stories in considerable detail. And if definition of ‘Standard’ is correct, what is the difference you challenged people about between them and dietitians unless it is pay grade? And what does any of this have to do with this post? Well done, Dr Panja. I accept this approach may take a little longer, but I think doctors like making people better. And people who get better don’t need to come back, unlike the increasingly familiar faces using the revolving door of standard prescription ‘medicine’. I tend to eat half a banana at breakfast. Would I be wiser to eat it before my ham and cheese rather than after? What about my apple after lunch: ditto, eat as my first course? At what stage should I drink my tomato juice? As a first course at dinner? I know a woman of about 70, who went to the doctors with a constant headache. He sent her for tests and scans, which didn’t show anything drastic, but suggested some further scans…. After about 6 months of worry, she realised that because of bladder problems (which the doctor already knew about) she had unconsciously cut back on drinking water (in the form of tea/coffee) – so she was dehydrated! The frustrating thing is that a lot of scarce NHS resources were wasted, and much worry caused, that a few minutes discussion could have avoided. Can you be a bit clearer? What’s the point you are making? Is it that ‘standard’ nutritionists recommend the likes of lowering salt intake and – presumably – avoiding butter/sat fat, following healthy eating plate and so on? Yes, that’s exactly the point I was making but sometimes in rushing to write a comment the brain rushes ahead of what the hands are typing. Putting nutritionists into GPs surgeries as you suggested, “Absolutely – always thought nutritionist in the surgery made a lot of sense” will I fear, only exacerbate the situation. Why? Because a “standard, qualified” nutritionist will give the standard advice that they have to give, ie reducing salt, reducing sat fat, increasing “healthy grains”, many smaller meals throughout the day etc. So what’s the point of putting a “standard” nutritionist into a GP surgery? If so then it’s right that not many will be reading this blog – the social media echo chamber effect. But if that’s right then your assumption that they are all ready to attack the likes of Noakes and Fetke is nonsense. Of course they won’t all individually attack the likes of Noakes, Fetke et al, but their professional associations have, and will. What filters down to the nutritionists from their professional organisations is that the likes of Noakes, Fetke et al are anti-science and their advice dangerous. And if they’re not “qualified” nutritionists they will be silenced, as Fetke was, regardless of the truth and what the science actually says. Even if you’re an enlightened nutritionist, would you risk your livelihood by giving advice which is contrary to your governing body / organisation? Several posts here covering their stories in considerable detail. And if definition of ‘Standard’ is correct, what is the difference you challenged people about between them and dietitians unless it is pay grade? And what does any of this have to do with this post? I think it was really your comment, “Absolutely – always thought nutritionist in the surgery made a lot of sense” that I disagreed with. To me, the way that nutritionists are educated and the advice they subsequently have to give is currently part of the problem. Putting more of them in environments where they can carry on “educating” patients to consume more carbs, reduce “artery clogging fat” etc is I would suggest, unhelpful. Dietitians who see the failure of the low-fat nonsense and want to do better almost always have to leave the NHS. In the NHS good advice has to be whispered to the patient when no one is listening. When doctors are on board with LCHF dietitians do seem able to follow and they get success for the firt time in their careers. In Dr Unwin’s surgery, haven’t most of the doctors and other health care workers gone low carb? The dietary advice given to diabetics is a disgrace and a scandal. It is certainly a tricky area. Take your point that there is a lot of professional confusion around dietary advice. I would make a distinction between dietitians, who have been trained to support doctors and whose organisations continue promoting the benefits of low fat etc. and nutritionists many of whom are very happy with the idea of low-carbs, ketogenic diet etc. But of course many doctors would find it confusing and uncomfortable to have a clinical nutritionist linked to the surgery. Root of the problem is that doctors learn virtually nothing about nutrition (dietitian or clinical nutrition) in med school. 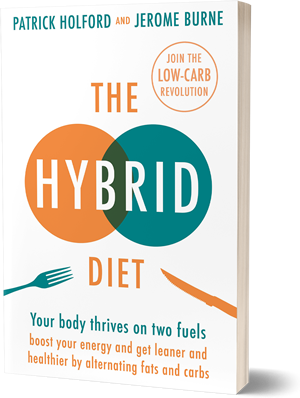 A few hundred or so GPs in the UK have signed up to Dr Unwin’s low carb approach to diabetes and there is a new doctor led program for Lifestyle Prescriptions – I’ve written about both here if you want more information. Turning round a tanker takes time. I’ve just discovered this website. Well, it’s about time! Pharmaceuticals have their place (mainly in crisis care) but are no substitute for a healthy lifestyle. Thank heavens that GPs are beginning to come round to the commonsense of this after enduring a century of brainwashing by Big Business. The current system is trying to treat chronic disease with a model which is only appropriate for acute disease. It’s nonsensical, ineffective and adds massively to the healthcare costs in the UK and elsewhere. GPs need more time with patients. They also need more knowledge of low-cost, low-risk therapies which can be enormously helpful. Nutritional therapy is certainly a big one. So are relaxation therapies such as meditation and autogenic training. My own profession of Remedial Massage should be massively more utilised. There is now good evidence-based research data – much of it coming from the Touch Research Institute at the University of Miami Medical School – confirming that regular remedial massage significantly reduces back pain, arthritic pain and chronic headaches, as well as improving mood and enhancing the quality of sleep. And the risks to the patient are as close to zero as you can get! Relevant to this article is the use of abdominal massage to help irritable bowel and acid reflux. The great orthopaedist James Cyriax was using this approach at St. Thomas’ Hospital in the 1930s; it’s been completely forgotten by his own profession. We Remedial Massage Therapists need a partnership – we rely on the GP to triage our clients for potential serious pathology, while the GP could be referring suitable patients for a safe, effective, relaxing and nurturing therapy. OK, I’m blowing my horn for my own profession, but somebody has to! It drives me nuts that there are hordes of people out there who could benefit hugely from what I and my colleagues do, but who instead palliate their symptoms with ibuprofen, antidepressants and sleeping tablets – with all the inevitable long-term fallout on the NHS.